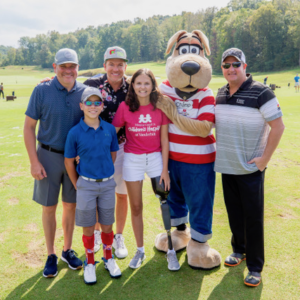 Rascal Flatts partnered with Delta Dental of Tennessee and WME to host the third-annual Celebrity Golf Classic to benefit Monroe Carell Jr. Children’s Hospital at Vanderbilt yesterday at the top-rated Golf Club of Tennessee. The evening concluded with a one-of-a-kind performance called “A Round of Hits” with an intimate, acoustic set by Rascal Flatts. 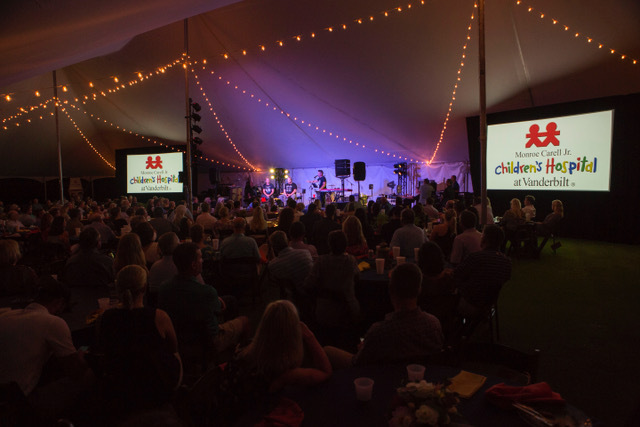 The trio are longtime supporters of Children’s Hospital, having performed for patients for over a decade and helping raise millions of dollars for the hospital, which renamed its Pediatric Surgery Center to The Rascal Flatts Surgery Center in 2010. All proceeds benefit research and fellowship training in the Division of Pediatric Urologic Surgery in the Section of Surgical Sciences at Vanderbilt University Medical Center. This support will significantly enhance discoveries and training to meet the changing needs of pediatric patients with a cancer diagnosis or other disease through the compassionate expertise of a pediatric urologist.